Scratch Studio - Save Scratch! 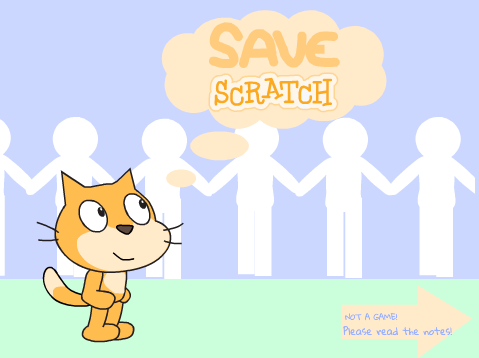 Save Scratch is not a studio, it's a community that wants to stop bullying. This community is dedicated to anti-bullying and anti-cyber-bullying projects! Together, we will stop bullying! How exactly do we stop bullying? First of all, we can make projects and spread them throughout Scratch that let people know what bullying can do. We also help people if someone is bullying them and they need help. That being said, if you are being bullied by someone and want to talk about it, comment! We have hundreds of people who want to help you!